In the early era of the middle ages, the hauberk was the armor of choice when it came to almost any warrior heading into battle. 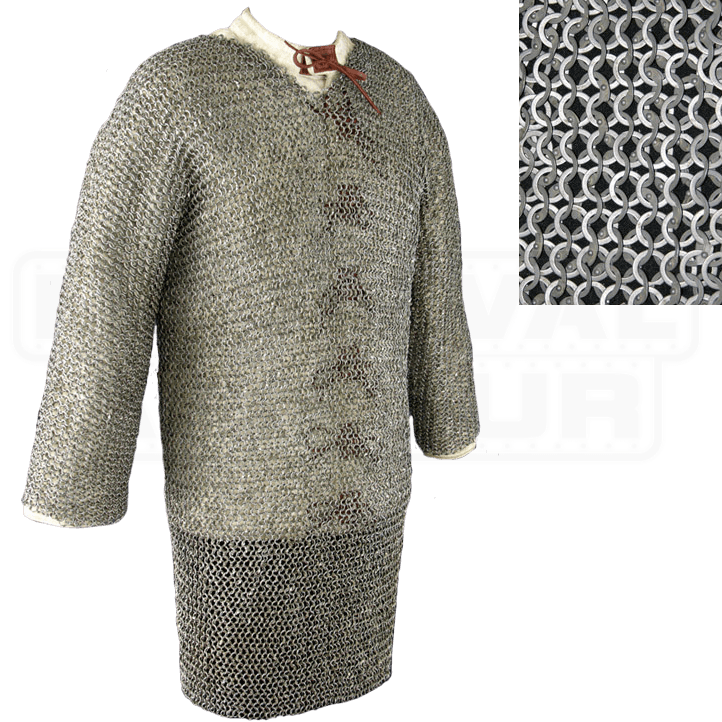 This 48 Inch Full Sleeve Chainmail Hauberk is a great recreation of this armor that protects as well as its ancestor did. Historically, mail armor was a long lasting style of armor that made use of interlocked rings of metal to create a protective yet flexible coat for warriors to wear when they headed into battle. And even today, among reenactors, mail remains a popular choice, thanks to its flexibility and its overall toughness. And that remains especially true when this hauberk is concerned. The hauberk is crafted from 9mm diameter mild steel rings in an alternating style that makes use of both riveted and solid flat rings to create an armor that is truly impressive, both in detail and in terms of the protection it offers. The hauberk also features a natural finish, which recreates a truly medieval look with awe inspiring detail. This fully functional hauberk is designed to fit a 48 inch chest and when worn, is designed so that it hangs down to about the knee (although actual size can vary from person to person). The hauberk is also full sleeve, which means when worn, it covers your arms more fully and provides protection down to mid forearm and wrist. 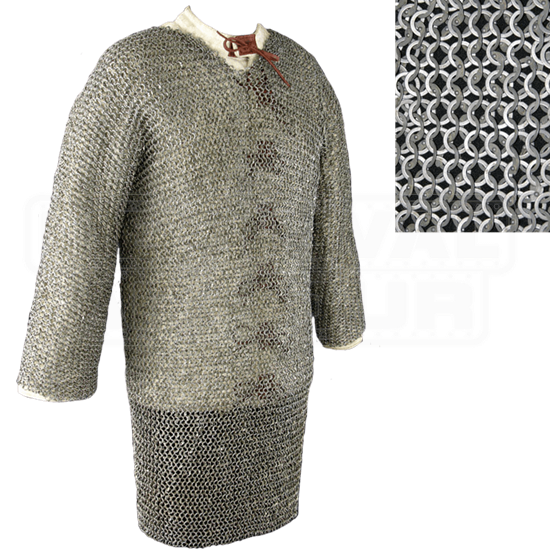 Even on its own, this 48 Inch Full Sleeve Chainmail Hauberk is a stunning item that recreates the look of medieval chainmail perfectly, so much so a medieval reenactor would be hard pressed to find a better suit of authentic looking medieval chainmail.